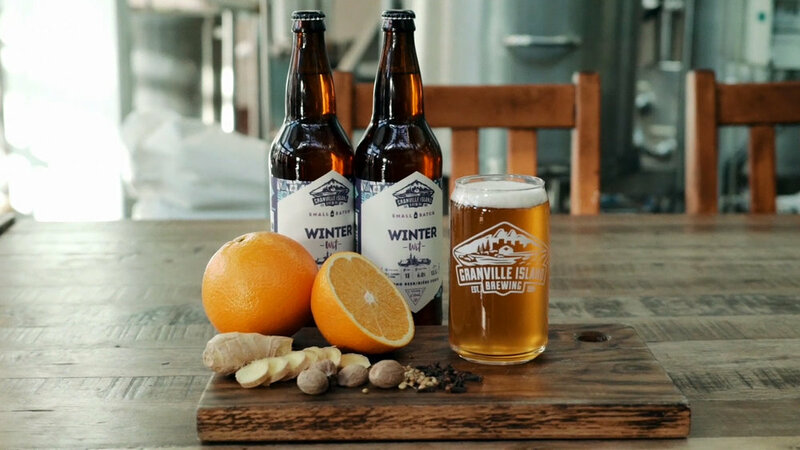 The weather outside is no longer so frightful, which means it’s time to snag those last few bottles of Granville Island Brewing’s seasonally-produced Winter Wit. This year’s edition is a spin on the traditional style of Belgian Wit (wheat) beers, which are produced with at least 25% wheat malts, with orange peels, coriander seeds and other spices adding a fruity, citrus flavour. Brewmaster Kevin Emms, who has a well-known love for Belgian beer, he added ginger, nutmeg and clove for a touch of warmth to this frosty beer. The first pour reveals a hazy, amber colour, reminiscent of a pale, orange-tinged honey. The upfront aromas suggest flavours of marmalade, honey, cloves, freshly-baked baguette and sugarsnap pea pods. The palate offered additional complex flavours of black licorice, clove, fennel, orange peel, dried mushroom and lemon pith. Overall, the flavours were clean, bright and generous, balanced with a creamy, medium-bodied texture and soft mouthfeel. Should you buy it? Absolutely. Go find some now, or you may just have to wait until next year.